Manuel Serafim Fontes Santos Pinto holds a Ph.D. in Development Sociology and Social Change, from FCSH-UNL; a Masters in Sociology of Work, Organizations and Employment and Bachelor degree in Sociology, both from ISCTE. He also has post-graduate degrees in Social Museology from UAL; and, in Museology, from ULHT. He has carried out 6 specialization courses in the area of professional training and heritage. He has several publications in the areas of Sociology, Heritage, and Museology. He is a Professor at Lusófona University. His research interests are centered on Sociology, Museology, and Security, with emphasis on Heritage and Political History. 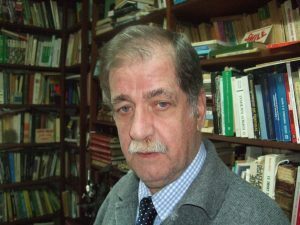 He is interested, as a pioneer, in sociological studies on civil aviation and on the sociology of security.